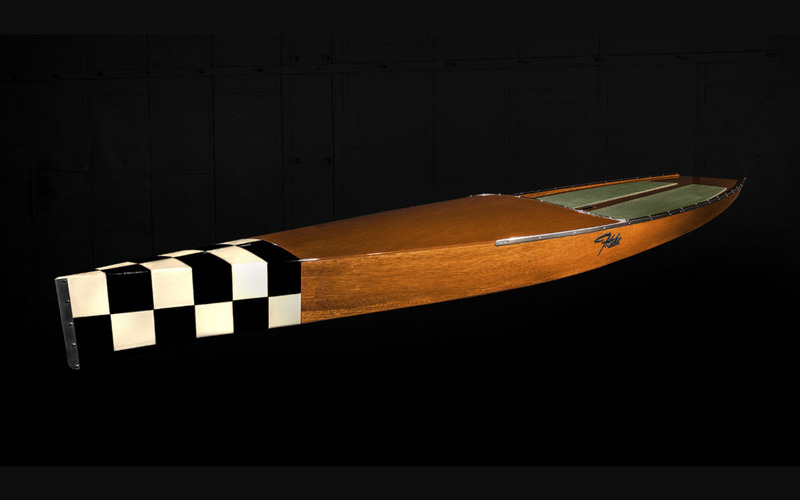 To make their paddleboards stand from the rest of the pack, most designers choose to make new-fangled boards that are multifunctional, odd-looking or able to hold a party of eight. 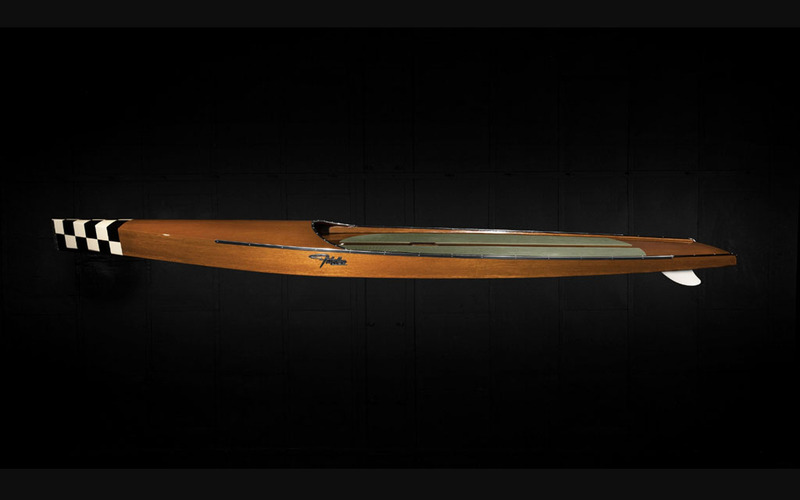 Others, like this build Fitzke Paddle Board Co., return to basics: wood. 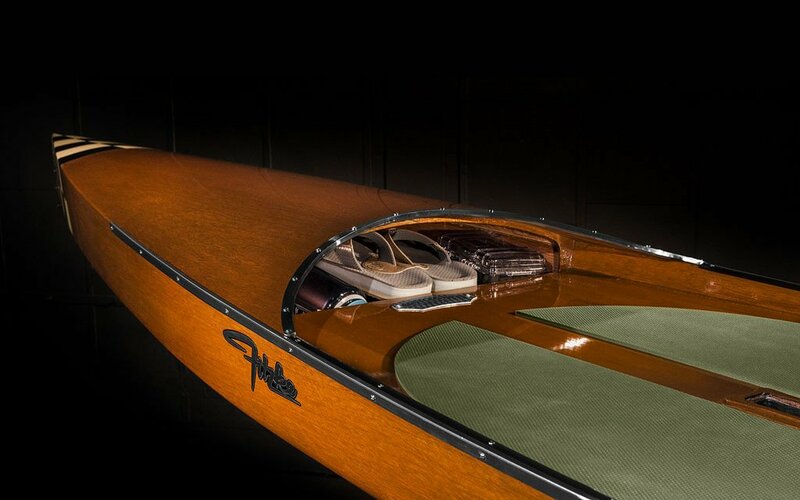 Crafted to honor the construction used in the shifty rum-running boats that avoided the Coast Guard and kept speakeasies from running dry during Prohibition, the Fitzke Bootlegger Paddleboard is built to order by hand out of marine-grade mahogany plywood. 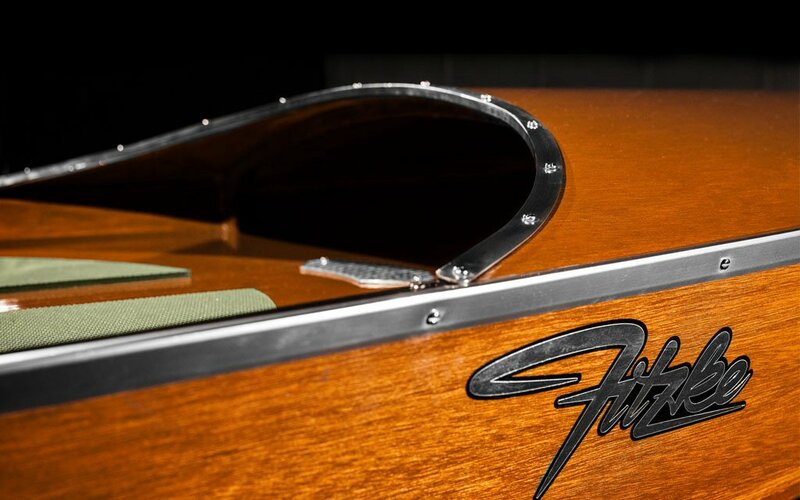 Equipped with a fiberglass epoxy bottom and rimmed by aluminum and PVC base rubber to cut down on dents and scratches, the 12.5-foot-long Bootlegger’s mahogany plywood is less than 10% wood, which is actually good because it means the wood won’t expand due to the weather. Featuring a touring-style design that should be a good fit for an intermediate-to-advanced rider, the Bootlegger further lives up to its heritage with a water-resistant storage compartment that’s hidden in front of the board and can hold hooch — or more practical stuff like a wallet or phone. The boards are custom so pricing is done on a case-by-case basis, but we doubt they’re cheap.